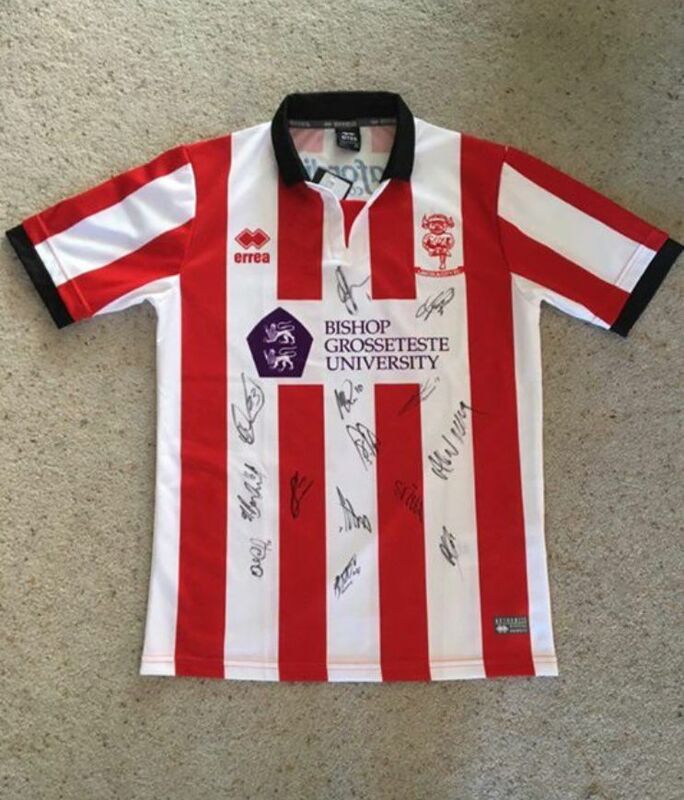 Through our support of Lincoln City FC, the club has kindly donated a football shirt signed by the current team for a charity event in aid of CALM and which takes place this Saturday (16 September). The event, Sandcastles for Lloyd, is being held at the Turnor Arms, in Wragby, between Lincoln and Louth, Lincolnshire; and is in memory of local lad Lloyd Cochran, who died in 2012. CALM, which is also known as the Campaign Against Living Miserably, is a charity that was launched in 2006 with the aim of bringing the suicide rate down among men. Also being auctioned will be a signed Manchester United jersey donated by former player and ex-England captain Brian Robson. You can pre-bid ahead of the night at the Turnor Arms or at Harmony Hair & Beauty, also in Wragby.